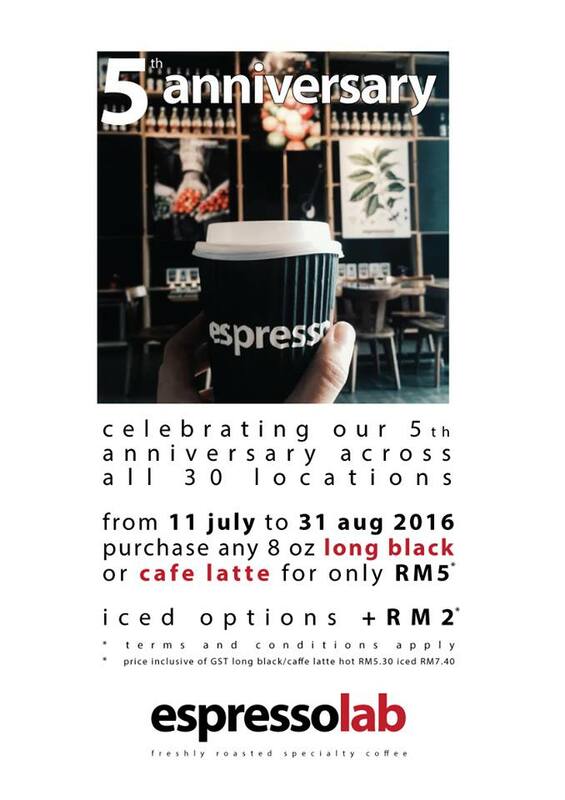 A good cuppa coffee is always man’s best soul mate especially in the urban cities, so don’t miss the boat to get yourself and love ones some fresh brewed aromatic coffee @ RM5! We always come here for breakfast and the long black fix which has been often neglected by most popular chains and of fresher & top quality. This entry was posted on Thursday, July 28th, 2016 at 4:54 pm	and is filed under Cafes, Food Promo, Heavenly Klang Valley Food, Mesmerizing Penang. You can follow any responses to this entry through the RSS 2.0 feed. You can leave a response, or trackback from your own site. « Bentong’s Canton Kitchen in PJ on 16th July!